According to the documents submitted by the Ministry of National Defense for parliamentary audit, the 2018 defense white paper will include “qualitative assessment” of the two Koreas’ military capabilities. The move is designed to paint an accurate picture of South Korea’s ability to respond to North Korea’s military threat, which has often been exaggerated as its capabilities were mostly judged by quantitative standards such as the number of troops and artillery guns, the military said. Scheduled to be published by year-end, the biennial defense paper will also include intelligence about its war-related factories and emergency goods, critical to judge North Korea’s war-sustaining capability, an area where North Korea face more challenge than Seoul. There has been mounting criticism that the previous defense white papers placed more focus on North Korea’s conventional military forces than South Korea’s advancement in modern warfare capabilities. While the affluent South Korean military is considered to have gained superiority over North Korea by acquiring advanced naval and air assets, the white papers have not fully incorporated such information out of the concern that it might hamper the military’s acquisition efforts. The previous 2016 defense white paper, for example, was centered on quantitative comparison of the two Koreas’ conventional military capabilities. It states that North Korea’s troops outnumber those in South Korea by a ratio of 2-to-1, submarines 7-to-1 and fighter jets 2-to-1. “Simply comparing the number of weapons creates an impression that North Korea’s military is far superior to South Korea, and therefore, (the South) needs to buy more weapons and increase its budget,” said a defense official, requesting anonymity due to the sensitivity of the issue. 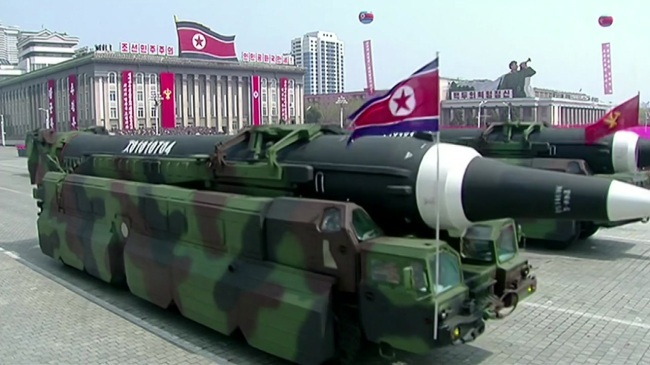 Military experts, however, have voiced concern that as long as North Korea’s nuclear threat persists and its accurate nuclear capabilities remain unaccounted for, the “qualitative assessment” could provide misleading information about North Korea’s military threat. While the Defense Ministry is planning to include updated data about North Korea’s nuclear capability following its sixth nuclear test last year, speculation has arisen that such information would be included as an appendix to the white paper, not as a key component of the North’s military might. “Qualitative assessment should only be used for reference. ... It is a subjective concept with the risk of arbitrary interpretation,” said retired Army Gen. Shin Won-shik, former vice chairman of the Joint Chiefs of Staff. Yang Uk, a senior research fellow at the Korea Security and Defense Forum, also warned of the possibility that the qualitative assessment could mislead the public about North Korea’s military capabilities amid an inter-Korean detente.